Hi friends. can anyone help me why ESP32 cannot auto connect to wifi network ? is problem with void loop ? or … ? @ErfanDL Can you paste the serial monitor output? Try blynk.config instead of blynk.begin and see if it connects. Edit: It would be better to manage the connections in sequence. Wifi first, see if it connects and then blynk connect. Use of BLYNK_CONNECTED() will also allow you to print some info or turn on/off LEDs as indicators. 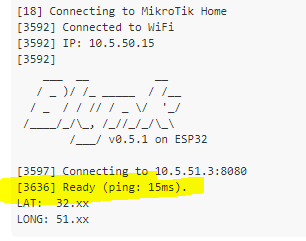 @ErfanDL You could do a timed routine to check wifi connection and reconnect or have a set of set of statements in loop() to check for wifi or blynk connections. Ideally, blynk.run() should re-establish the blynk connection which in turn will re-establish the wifi connection. It works like that for me. thanks. is any example for blynk.config ? Is the server’s IP correct?